Sectors like power, steel and cement are set to further push India’s coal imports as international prices are at two-year low and markets expect further downside in the near term. The domestic prices remain at elevated levels at a time when Indonesian coal, a key source of Indian imports since July across grades, has seen a price drop of 25-36%. India’s overall coal imports touched a 40-month high of 22.5 million tonne in October and sourcing of coal from Indonesia has jumped mainly driven by restrictions on Chinese imports. “Imports are being resorted to as sectors like cement and steel are witnessing high demand growth and they need to match their productions. But there is a shortage of domestic supplies and infrastructure constraints like the crisis of railway wagons availability are creating bottlenecks for supplies to such sectors. And with prices in Singapore crashing, imports are more competitive,” Subhendu Kar, senior coal trading manager with Itochu Singapore told DNA Money. “We see imports continuing to rise over the next two-three years at least till the production from captive mines goes up,” Kar said on the sidelines of coal market conference organised by mjuntion. And surprisingly, it’s a good news even for US President Donald Trump as imports from the US have also been going up over the years and are expected to be in the range of seven to eight million tonnes a year, according to Sujogya Dash, managing director, XCoal Energy Resources. 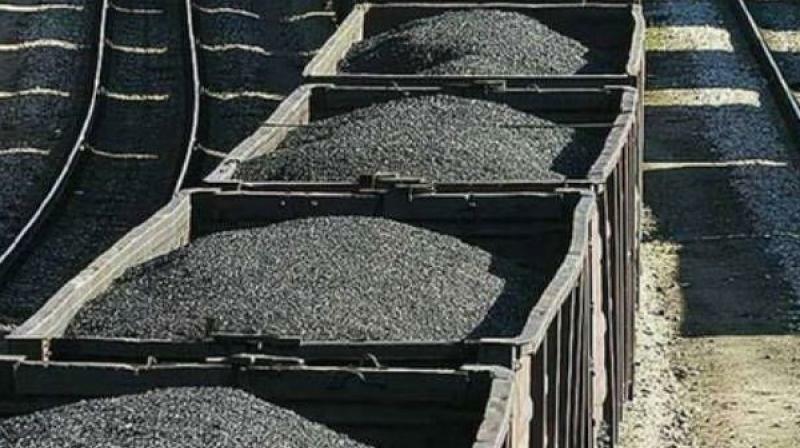 Despite the distance between the two countries, the imports from US almost tripled in the first quarter of this calendar year from the year-ago period, making India the largest foreign buyer of US coal, according to the US Energy Information Administration. “The buyers of US coal to India are typically the cement plants, and to some extent, the power plants also. This coal needs to be mixed with other coal though because of US coal’s high calorific value,” Dash said. Domestic non-availability, or presence of only poor-quality coking coal used primarily in steel-making at a time when the sector is witnessing shooting demand, is also fuelling imports and outgo of foreign exchange. “Fall in domestic coking coal production is adding to the problem. Coal India’s share of production of coking coal was just 6% of its total output in the financial year (FY) 2018, which was at a high of 10% in FY17. By 2020, when 120 million tonne of steel is to be produced, coking coal demand is set to rise to 70 million tonne,” said Bhaskar Chatterjee, secretary general, Indian Steel Association. “Coking coal import was 47 million tonne in FY18 and this year it would cross 50 million tonne,” said an analyst with Steel Insights.